We’re glad you’ve stopped by the new and improved Perfect Harmony Strings website. 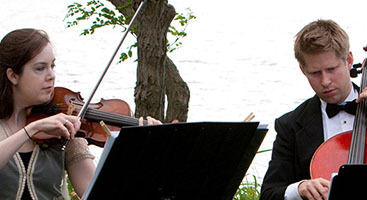 No matter where you are in the country, Perfect Harmony can be there to provide the best in live string music to give your event that special touch of class. Weddings – You probably won’t be surprised to find out that most people who hire our wedding string quartet are hiring us as live wedding music. Having live music at a wedding is a simple and elegant way of entertaining your guests and letting them know how important the music is to you. 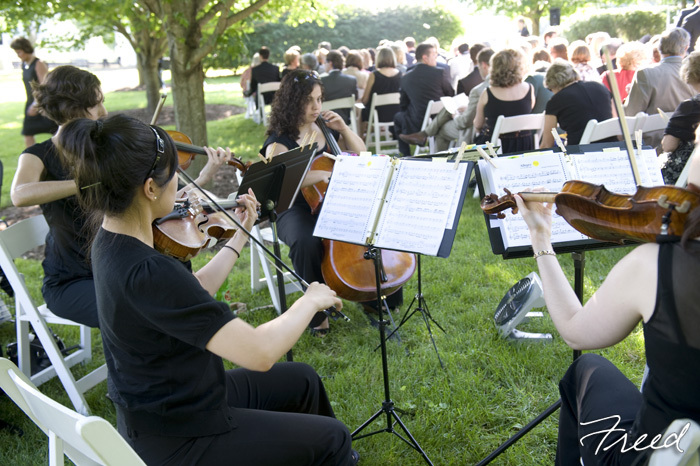 Whether at the ceremony or reception, you’ll also never have to worry about prerecorded music going haywire when you have a live string ensemble. 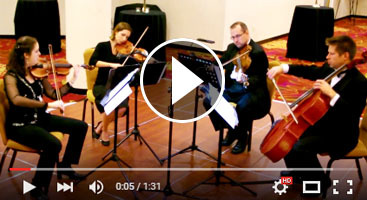 Events – Whether it’s a Christmas party, a black-tie affair, a gallery opening, or any number of formal events, a wedding quartet is a perfect way to add that perfect touch to your get together. We can provide music that accompanies a specific point in the eventing or provide background music from the moment the first guest arrives. Recordings – We’re proud to offer our recordings for purchase! Perhaps you want a reminder of the talents who were part of your special day, or maybe you simply want calming music for your home or car. 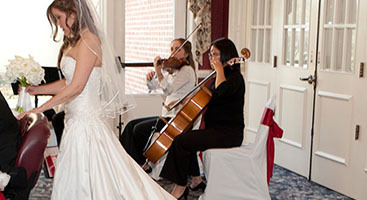 We know that our string quartet wedding music will bring a smile to your face every time. Whether you need live event music or a wedding quartet, Perfect Harmony Strings will deliver amazing music every time. Want to know what music we offer? Check out our repertoire here, or contact us if you’re ready to set a date.